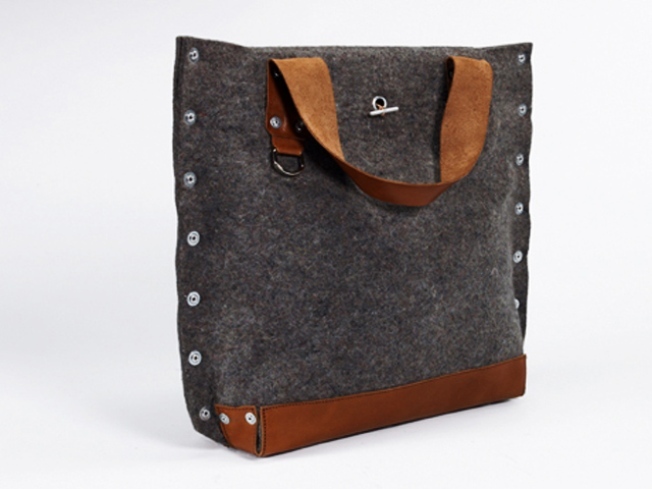 The Carga bag: Wolly, rugged. ROUGH TRADE: Loving these new rugged, riveted satchels from Carga – they’re made with industrial-grade wool felt and vegetable-dyed leather, and each one is serial-numbered and comes with a matching iPod/phone/camera case. $270, available online at Carga.com, and Christopher 19 is an official Carga retailer: 19 Christopher Street, 212-627-9159. WRAP STARS: We’re just not sure we can haul out our trusty camel coat for another season, but it’s so hard to let go of a good (expensive!) cold-weather coverup. The fall luxury coat sale kicking off today at the always nicely curated Society of Memorial Sloan-Kettering Thrift Shop – where hundreds of gently-used, high-end jackets, coats, trenches and more start at $65 – should help ease the transition. October 7-10, 1440 Third Avenue; 212-353-1250. SAVE FOR A GOOD CAUSE: Between now and October 12, save 25% on everything in-store at Ralph Lauren boutiques; RL will donate 10% of the purchase proceeds to the Ralph Lauren Center for Cancer Care and Prevention or Pink Pony, its charitable organization dedicated to supporting programs for early breast cancer diagnosis. Print out this flyer to redeem in-store.